Valentine’s Day is right around the corner! And what better way to celebrate the season of love than with a giveaway? We’ve teamed up with our friends at Tablo to create a match made in cord cutter heaven! Now through 2/11/2019, enter for your chance to win a Striker HDTV antenna and a Tablo DUAL LITE DVR. Watch and record all the over-the-air content your heart desires with this antenna + DVR combo. 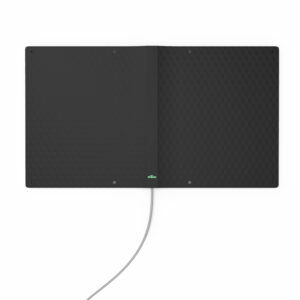 One of Mohu’s newest antenna innovations, Striker’s unique design makes almost any location ideal. Place it anywhere in or outside your home: crawl space, roof, outdoor siding, interior spaces, in your attic — you can even take Striker on the go! And with FirstStage amplification technology, you can watch broadcast channels from up to 75 miles away in a crystal-clear picture. 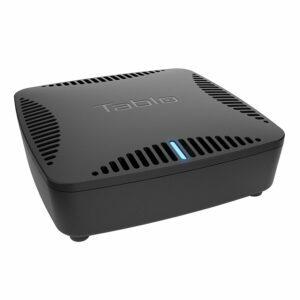 The Tablo DUAL LITE Over-The-Air DVR is one of Tablo’s most popular products. The DVR features 2 over-the-air ATSC tuners, Ethernet or WiFi connection, whole-home and out-of-home streaming, AND virtually unlimited storage! While Striker brings you live broadcast channels, the Tablo DUAL LITE OTA DVR allows you to record and stream those stations. You can watch or record up to two shows at once on any device in your home or on the go with this DVR. The more you do, the more chances you get to win! The winner will be announced on February 12th.